See How We Bring You Peace of Mind | Fermac Properties Ltd.
Alongside the inspections which are carried out by the local Building Control Department, we also employ the services of our Home Warranty Providers (NHBC & Premier) to carry out their own inspections throughout each build, which follow an almost identical path, so you can trust that your new home is checked independently by two independent bodies. As part of the Building Control and Home Warranty inspections, all of the products we use, and systems we install, are also tested and certified by the installers, whether that be electrical, plumbing or gas, you know that your new home is safe and certified for you and your family. So if your home develops a leaky toilet, a wonky door, or a draughty window in the first 2 years, all you need to do is let us know and we will do our best to have your issue rectified as soon as reasonably possible. There are some minor exclusions to this cover, such as appliances (manufacturer warranties still apply), damage/wear & tear and natural settlement, but these are all sensible and fair. Every new home which we complete also comes with the benefit of a full 10 Year Structural Warranty from either NHBC or Premier Guarantee. NHBC & Premier Guarantee are the two largest home warranty providers in the UK and we are privileged to carry their very top A1 Rating, which is reserved for their long-standing developers with a proven track record and incredibly low claims. So, for a period of 10 years from the completion of your new home, you will enjoy cover for any serious structural, or inherent, defect discovered in the first 10 years. This covers the main structure of your home, from the foundations, to the walls & ceilings, to the roof and chimney, meaning you are protected in the unlikely event of a serious issue being discovered. Full details of the 10 year warranty cover be found at the links below. We know that buying a new home is one of the biggest financial commitments that anyone can make. We also know that for most people this means working hard to save enough money for the Contract Deposit and that you will want to know that this money is safe and secure while your new home is being built. So, to give you peace of mind, we place insurance with our Home Warranty Providers (NHBC or Premier Guarantee) to protect your 10% Contract Deposit during the construction period, so you have one less thing to worry about while you plan for your big move. 1. Physical Amenity : in the form of large open green/play areas. This ensures that there is always a large, safe area for a variety of uses to suit new homeowners. 2. Visual Amenity : in the form of attractive paved/grassed/planted areas, with a variety of finishes, features and colours. This ensures visual interest and variety, improving the aesthetics of your new home. These open spaces will naturally require regular and periodic maintenance, together with appropriate insurances in place, should the unexpected happen. A number of different ways were tried over the years to achieve this, with varying degrees of success. The winner, like VHS, Blu-Ray and Netflix, was the Management Company model. This model provides for the formation of a limited Company, which will eventually acquire all of the open space and each homeowner(s) will also take an equal share in the company. 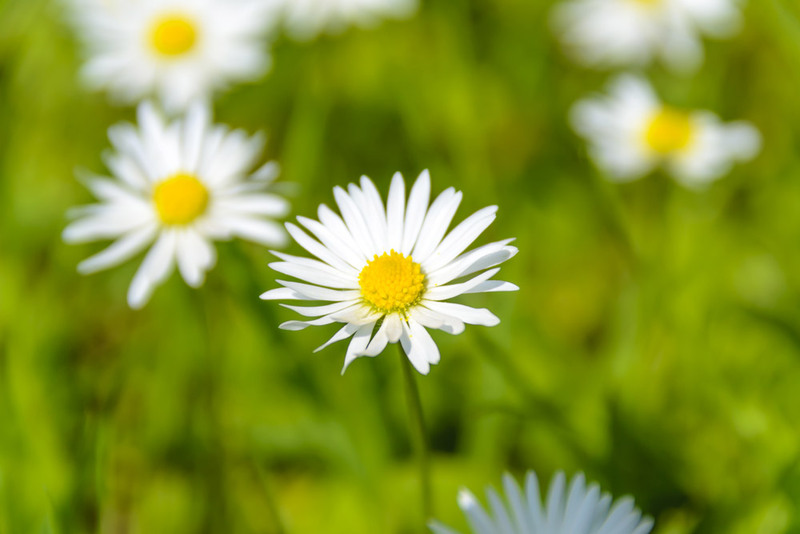 Initially, we will appoint a Managing Agent on behalf of the Management Company and they will undertake to liaise with homeowners, engage landscapers, place insurances and also to comply with all of the filing requirements of a legally limited company. The Managing Agents will be engaged on a contract basis and after the initial period, homeowners can decide to keep them, or if unhappy, tender for alternative Managing Agents. The primary benefit of this model is that homeowners are fully in control of their company and their open spaces. All developments require infrastructure, roads, footpaths, sewers, street lighting etc. In order to obtain permission to build these, a developer must get permissions from the relevant authority and as part of that permission, they must also place insurance in the form of a bond, equal to the value of any roads & sewers being installed. This is to ensure that, if a Developer is unable to complete a development for any reason, that the relevant authority can call in the necessary bond/insurance money and complete the roads and sewers required to serve your new home. 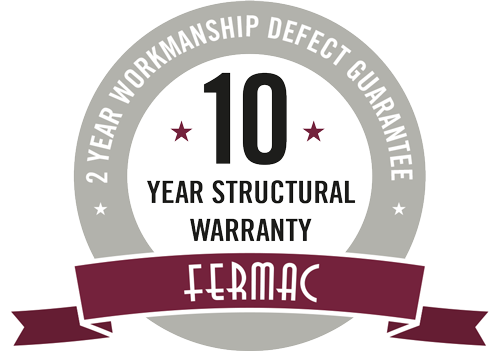 Fermac Properties are privileged enough to carry the very highest A1 Rating with both the NHBC and Premier Guarantee (The two largest home warranty providers in the UK), so our developments are always properly bonded. We install our roads and services first to help ensure a safe and tidy construction site. 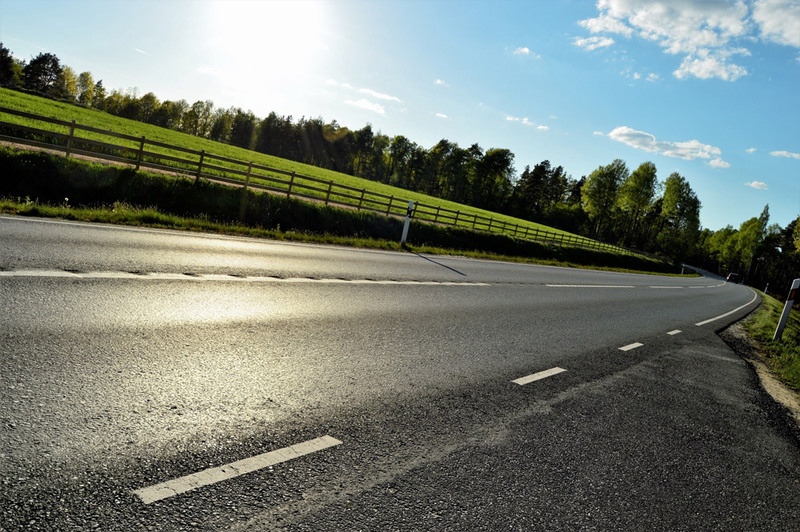 We will form the necessary roadways and always have them base coated with tarmac at the earliest opportunity. The final wearing or “carpet” coat will not normally be laid until a later date. Our promise to our Customers is that we will never ask anyway to move into a home which does not have the roadway fully made up and safely surfaced with the base-coat tarmac to all necessary roads and footpaths.